Oh So Crafty: An Anthropologie Inspired Bracelet. 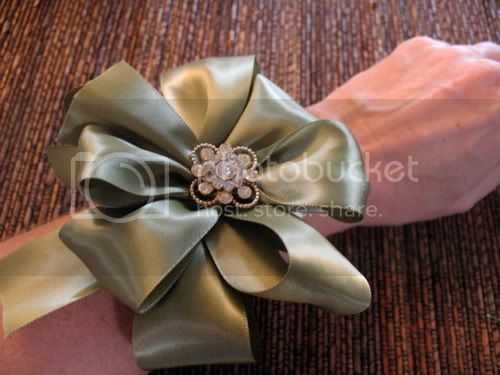 Unlike this beautiful, $198 Anthropologie ribbon bracelet, mine cost $1.25 to make. Granted, I already had all the supplies on hand, but the ribbon was out of Micheal's dollar bin, the vintage pin was .25 at a yard sale and the old broken watch was in my bin of jewelery bits. 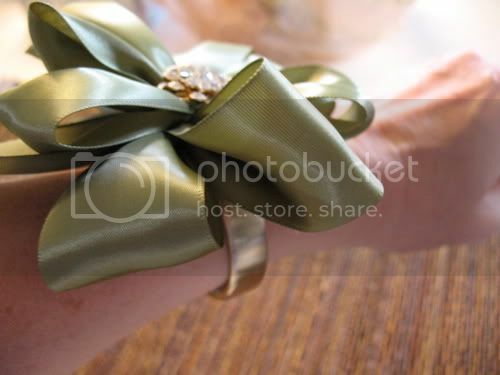 The bracelet is basically a layered bow. 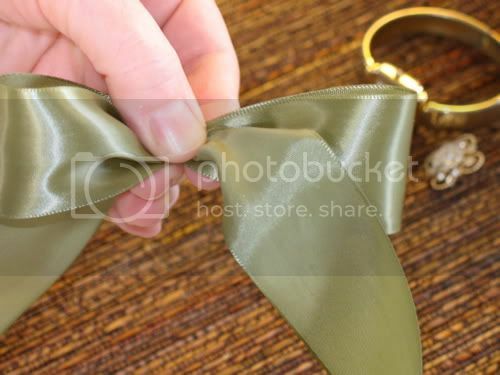 If you've never made bows before, Save-on-crafts has great instructions. 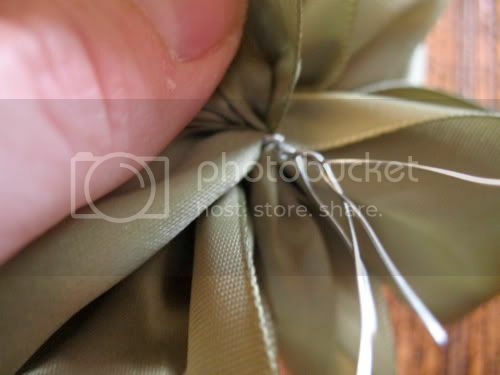 I wanted a 2 inch loop, so I measured out 6 inches of ribbon, and leaving 2 inches for the tail, I folded the ribbon in half and pinched it. 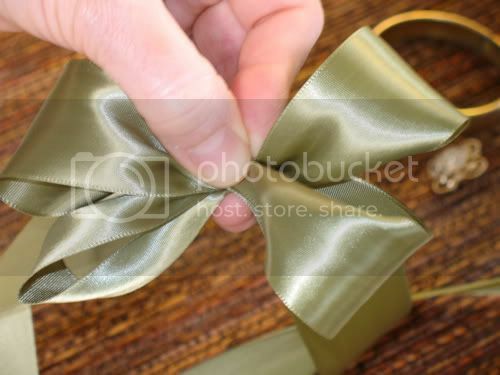 I held my bow tight and twisted the ribbon so that the shiny side was facing out. Then you repeat the process, make a loop, pinch and twist, until you've made four loops. 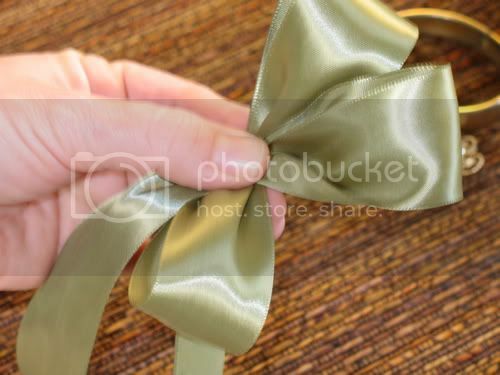 Then take a piece of floral wire and secure the bow in the middle. 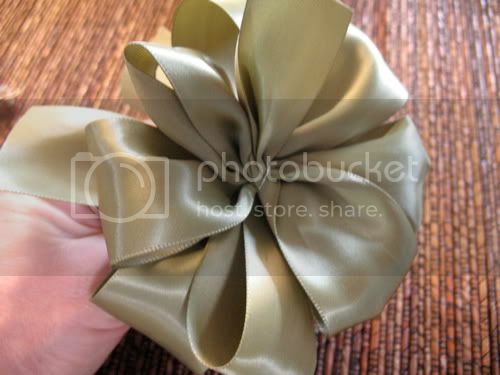 I then made another four loop bow, slightly smaller thatn the first. 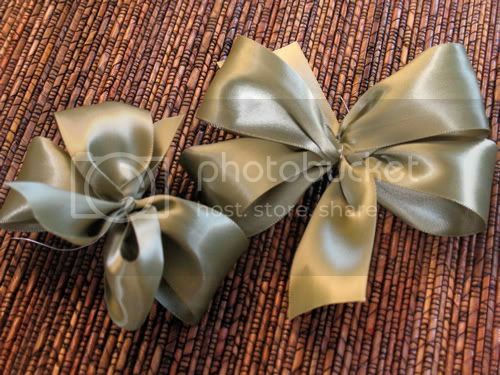 Stack the smaller bow on top of the larger and twist all the wires together under the large bow. You now have something that looks like this. Fluff and play with the loops until you're happy with how they look. Pin or hot glue your rhinestone jewelry in the center of the bow, then hot glue it on to your cuff bracelet or in my case, an old cuff watch. 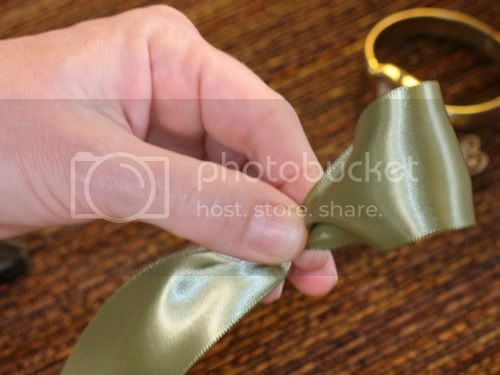 If you don't have either of those, you can use an extra piece of ribbon as your bracelet and glue the bow to that and simply tie it on your wrist. 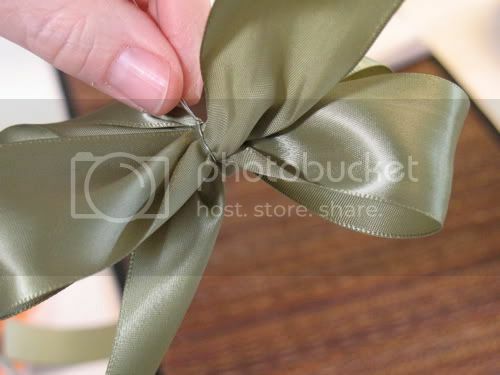 If I make more of these, I will definitly try to find a pale ribbon with a dark edge. While I like the green, it doesn't have the definition I want and the green seems to become just a big blur of color. What a great bracelet for the holidays! Mmm... delicous! I want to make one, too! What a great tutorial. I am filing this away at thecraftersfilebox.com. Nice tutorial! 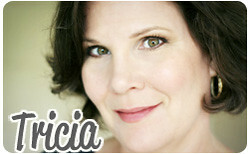 I have posted a link on CraftGossip.com. You are my new source of inspiration and im gonna put your link on my blog and do a post on you. i would also really love to interview u sometime, if its ok. I love taking expensive store pieces, and recreating them. This is a beautiful inspiration & example of such. I loved your version, and was inspired to copy some other ones I liked, too! Working on the pearl bracelet with red satin, also. Will link to you tonight! I love this idea. 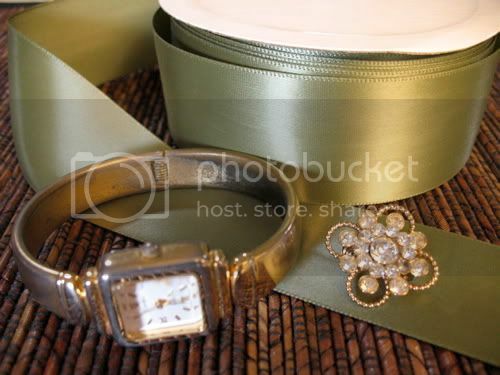 I am helping to plan a wedding in June for a local widower that is like a father and grandfather to many at our church. 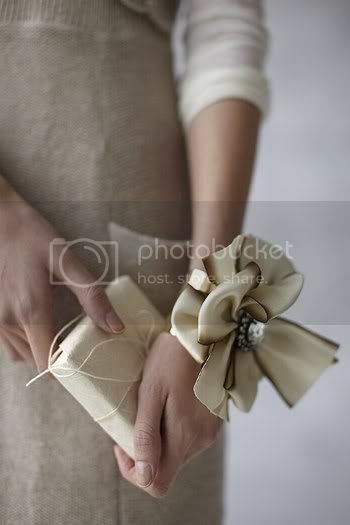 This is a perfect gift for the bride and each of her attendants. Thanks for the inspiration!